‘Outlander’ season 1, episode 5 review: Will Claire take the help of a redcoat? Although Claire’s escape attempt on last week’s episode of “Outlander” was thwarted many times over, it looks like she’s going to have another shot at it this week. 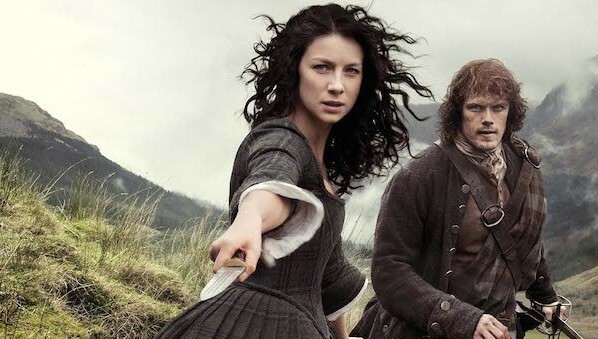 Dougal will be taking Claire on the road as his healer while he collects taxes from the MacKenzie lands, and with her earning a bit of his trust (and possibly even a bit of his respect), she might have enough wiggle room to get back to the rocks and back to Frank. Being with the MacKenzie clan on the road is a little deflating for Claire as the men find any way they can to exclude her, all of the men except Jamie who takes pity on her, but the person she is really finding solace with is the lawyer that accompanied them to help with the ledger: Ned Gowan. After collecting the taxes, later that night Dougal uses Jamie and his redcoat scars to push the villagers to donate even more money and Claire realizes that Dougal is double dipping to line his own pockets and bleed the town dry… at least that’s what she initially thinks. She later realizes that he is raising funds for an army to push Prince Charles into the position of king, a battle of history that she already knows they lose. She tries to warn Ned of the disaster awaiting them, but he refuses to listen. Not knowing exactly where she is, Claire takes up friendships with the women of the town to learn more about her whereabouts and where the stones are located – which are three days travel from where she is.